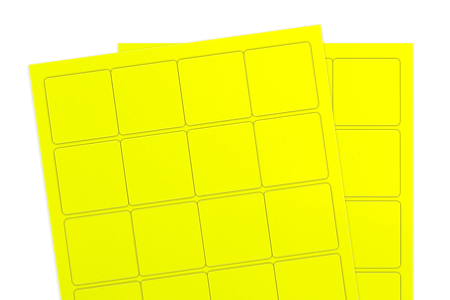 Glowing, bright and sunny are just some of the words we like to use when describing the fluorescent yellow label material! From warning signs to file cabinet filing, to labeling warehousing units and cleaning supplies, fluorescents are always a fun choice to pick for labeling projects. Let your brand do the talking on these vivacious yellow labels!